Taiwan has instituted an ambitious policy of phasing out nuclear power by 2025. It is betting heavily on natural gas and renewables, but has it gone too far in limiting its options while other countries diversify their sources of energy? “I think Taiwan should ultimately move toward a nuclear-free homeland, but it shouldn’t insist that it has to happen by 2025,” says National Taiwan University Hospital anesthesiologist Wang Ming-jiuh in an interview, explaining his change of position on energy policy. Seven years ago when a nuclear disaster hit Fukushima in Japan following a massive earthquake and tsunami in March 2011, Wang was one of many in Taiwan who stood up to oppose nuclear power. But since rotating blackouts cut off power around Taiwan on Aug. 15, 2017, his anti-nuclear stance has softened. “As an island, Taiwan has an isolated power grid. 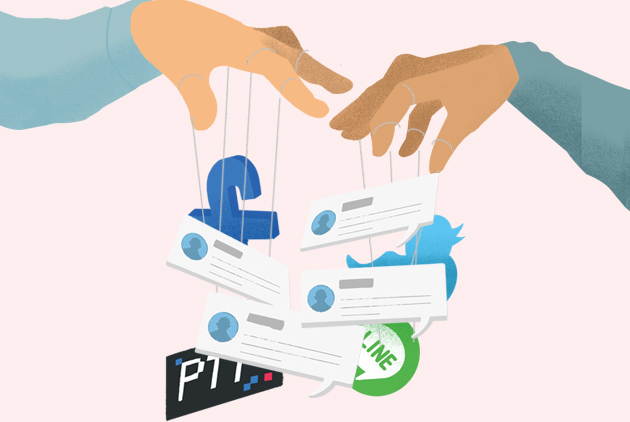 We can’t not have a Plan B,” insists Wang, who has written prolifically on the issue in recent months. Like Wang, many people in Taiwan are rethinking how they view the nuclear power issue as electricity supplies tighten, resulting in the most obvious shift in public opinion since the 2011 Fukushima Daiichi Nuclear Power Plant meltdown. Some are even campaigning for a referendum to get rid of a provision added to the “Electricity Act” in early 2017 – “Nuclear-energy-based power-generating facilities shall wholly stop running by 2025.” Their goal is to maintain nuclear power as an option to ensure a stable electricity supply. Wang has expressed his support for the movement, and after endorsing the petition in early July he went on Facebook to urge others to make their voices heard. Such an appeal would have been unimaginable just a few years ago. In an Apple Daily poll at the end of June, more than 70 percent of respondents said they were concerned about power shortages, and 65 percent said they didn’t think Taiwan should abandon nuclear power right now. 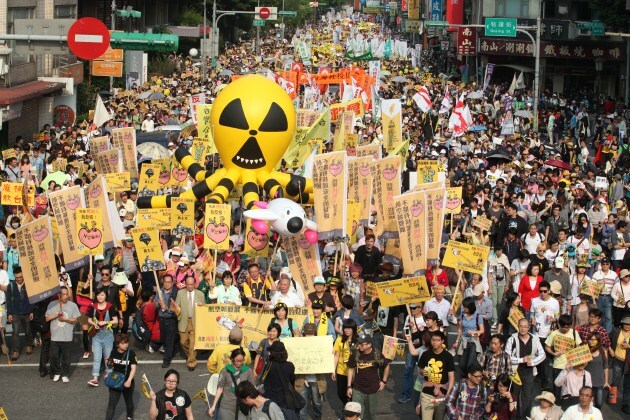 The cooling of anti-nuclear fever was also evident in March, when an annual anti-nuclear power march drew only 2,000 people, its smallest turnout ever and down from 80,000 people in 2013. 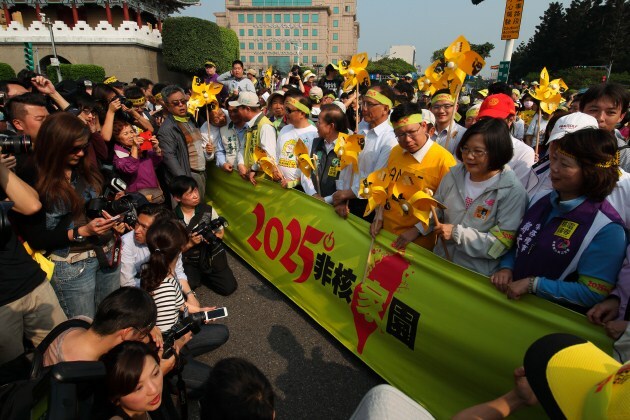 Industrial associations have also voiced concern about Taiwan’s electricity future. In its White Paper issued in June, the American Chamber of Commerce in Taipei pointed to growing uncertainty over a stable electricity supply and competitively priced energy in Taiwan. So what prompted the change in mainstream opinion? From a broader perspective – climate change. Scorching heat resulted in Taiwan setting a new record for peak electricity usage at the end of May, and electricity demand is bound to rise further as high-energy consumption technologies such as the internet of things, artificial intelligence, and cloud computing become even more integral parts of daily life. A more direct cause is the temporary shutdown of the Tatan Power plant on Aug. 15, 2017 that affected nearly 7 million households in Taiwan. Though the malfunction of the natural gas-powered plant resulted from human error, it instilled a deep sense of distrust in Taiwan’s electricity supply system. The term “power shortage” immediately emerged as part of the daily lexicon. 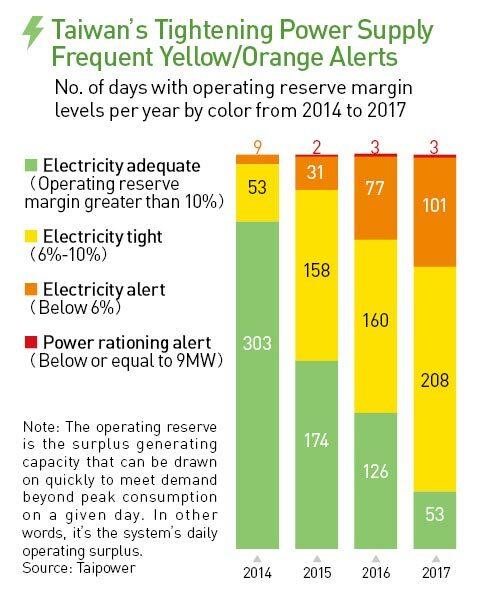 Over the past four years, the number of days of tight power supplies in Taiwan has risen steadily, a situation similar to that of a company constantly short of cash that has to scramble for short-term loans to meet its financial obligations. The public has concerns the country’s power reserves are too low to deal with a sudden emergency, as was the case last year. After President Tsai Ing-wen took office in May 2016, her administration laid out an ambitious energy transition plan – decommissioning Taiwan’s three active nuclear power plants on schedule by 2025, not operating the nearly completed fourth nuclear power plant, and changing the energy mix to 30 percent coal, 50 percent natural gas, and 20 percent renewable energy. 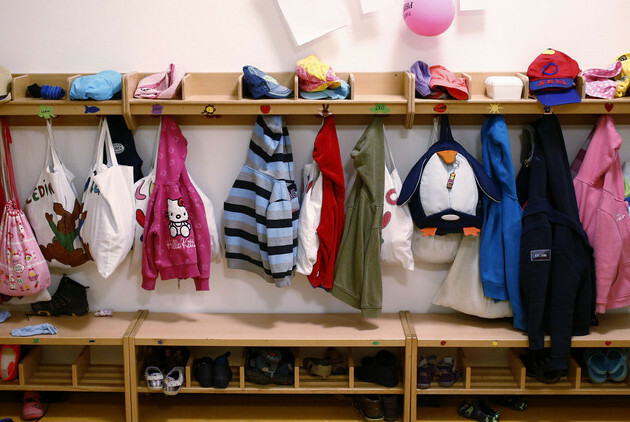 But two years after articulating those goals, the policy is facing severe challenges. One of the key components of the plan, for example, is to increase the percentage of electricity Taiwan gets from natural gas to 50 percent by 2025, from roughly 40 percent at present. 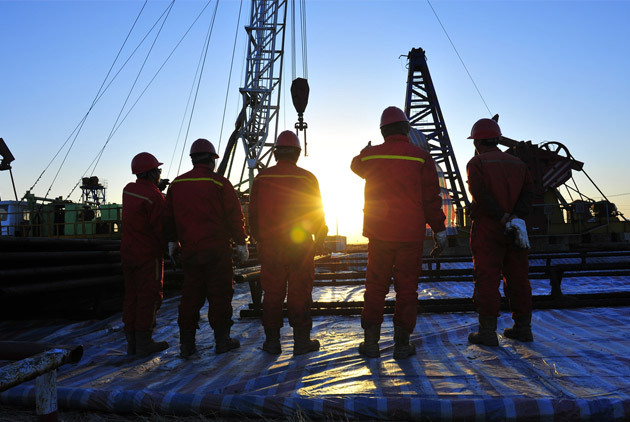 But while state-run oil refiner CPC Corp. Taiwan has signed contracts to purchase the additional natural gas needed to achieve the goal, efforts to build a third liquefied natural gas terminal needed to store it have been blocked for more than a year. In the face of such major obstacles to the transition to a non-nuclear energy future, is there a viable way forward? Though the global trend is toward reducing or phasing out nuclear power as part of the energy mix, many countries have set timetables consistent with the actual conditions they face. Based on its current progress, however, Taiwan could have a tough time becoming nuclear-free by 2025. 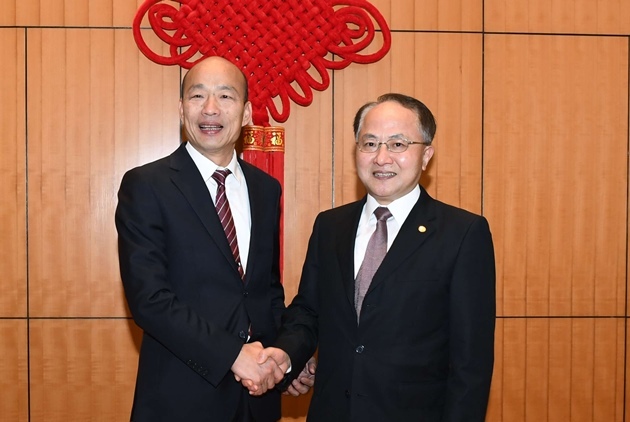 “This is a tug-of-war between time and pollution,” says Mitac-Synnex Group Chairman Matthew Miao in describing Taiwan’s energy transition challenge. So what, in fact, are the electricity supply risks that exist before 2025? First, the development of renewable energy is entering more difficult times. The government wants to increase its installed capacity of solar power from just under 2.2GW at present to 20GW by 2025, but that will require 25,000 hectares (or 250 square kilometers) of land. But land is not something Taiwan has in great abundance. “The places where [solar power] could be installed easily have already been used. It will only get harder from here,” says a manager with a solar power company. Second, though technologies to store energy continue to make advances, they remain extremely expensive to be adopted quickly and widely enough to offset the intermittent nature of renewable energy. At the end of 2017, the Bureau of Energy under the Ministry of Economic Affairs announced that it would invest NT$1.6 billion over the next eight years to promote 25 regional storage equipment technology pilot projects. A 10.8MW microgrid storage system project launched in outlying Kinmen County in May cost NT$200 million alone. Ai Tsu-hua, director of Energy Infrastructure Solutions at Delta Electronics, said large-scale storage solutions remain relatively expensive, even as battery costs continue to come down gradually. Energy storage systems in the United States currently have total installed costs of at least US$380 per kilowatt/hour. Even if energy storage technology matures and becomes standardized over the next five years and pushes down the total installed cost of storage systems to US$200 per kWh by 2025, however, that will still be considered high. Third, there is the risk that the supply of natural gas, expected to provide 50 percent of the country’s electricity by 2025, may be inadequate because of the continued opposition to the third natural gas terminal, which will require at least five years to build. Finally, if the supply of renewable energy and natural gas is unable to meet the government’s targets, more coal will be burned to generate power. It already accounted for 39.2 of all electricity generated in Taiwan in 2017, up from 35.7 percent in 2015, the year before the Tsai government took power. In a presentation by the Four Winds Foundation on Taiwan’s energy mix in June, former economic affairs minister Woody Duh (杜紫軍), who serves on the foundation’s board, advocated nuclear power and renewable energy each accounting for 15 percent of the country’s power generation, and keeping natural gas at 40 percent. The breakdown reflected the foundation’s concern that without nuclear power, and if the third natural gas terminal is not completed by 2025, the only option will be to burn more coal, posing a public health risk. The main challenge, in fact, can be summarized in a single word: time. Phasing out nuclear power may be a global trend, but can Taiwan achieve it by 2025, and, if so, at what cost? How can the obstacles that exist be overcome? Neighboring Japan may provide a worthwhile example for Taiwan. Both are island nations with independent grids and a lack of natural resources, and they are vulnerable to earthquakes and typhoons. At the beginning of July, Japan’s Cabinet approved a 5th Strategic Energy Plan that provided guidelines on energy policy to 2030 and 2050. One of the more notable goals was to prevent overreliance on any one energy source. It set targets of increasing nuclear power from 2 percent of total power generation at present to more than 20 percent by 2030 and lower the share of thermal power from the current 83 percent to 56 percent. Japan remains scarred by the Fukushima nuclear disaster seven years later and several areas have yet to fully recover. Yet, instead of taking Taiwan’s approach and phasing out nuclear power, Japan has chosen to beef up its nuclear power generation. Why would it take such a risk after the Fukushima ordeal? A report on Japan’s energy transition plan issued in May by the Industrial Technology Research Institute’s Green Energy and Environment Research Laboratories clearly outlines Japan’s three practical considerations: its carbon reduction commitment, the need for more energy diversification and the gradual realization of energy self-sufficiency. Carbon emissions reduction is the plan’s main guiding principle. As a signatory of the 1997 Kyoto Protocol and the 2015 Paris Agreement on climate, Japan has committed to reducing its greenhouse gas emissions by 80 percent by 2050. Based on that principle, Japan has clearly positioned different types of energy. Renewable energy is a “main power source” to achieve economic independence and carbon reduction and should be aggressively developed. Because of the need to maintain base loads, however, it called for restarting nuclear power plants and continuously improving safety but also lowering dependency on nuclear power by 2030. By 2050, nuclear power was listed as “one of the options” for achieving carbon reduction. For fossil fuels, Japan advocated using high-efficiency thermal power by 2030 and then shifting to gas and phasing out inefficient coal by 2050. It also described natural gas as a major power source during the transition period. The plan’s stated goal of boosting renewable energy to 22-24 percent of total power generation by 2030 has been criticized as too conservative. But as the Japanese plan said, “variable renewables such as solar power and wind power still have to be backed up at present by thermal energy sources and cannot bring about decarbonization on their own,” a clear indication of Japan’s practical attitude. The next goal is to ensure energy diversification. “Japan lacks resources, does not have a cross-border electricity grid, and has land limitations on the large-scale introduction of renewable energy,” the report said, noting that Japan is pursuing energy and carbon reduction options, including renewables, carbon capture and storage, nuclear power and geothermal power. As for the gradual realization of energy self-sufficiency, when Japan closed all 54 of its nuclear reactors following the Fukushima disaster, its natural gas imports soared to the point that it emerged as the world’s biggest natural gas importer. By 2014, that reliance on imported energy sources had driven up electricity prices by 30 percent compared with before the nuclear meltdown. To lower electricity costs and maintain the private sector’s competitiveness, the Abe government has started up six reactors in recent years, and preparations are afoot to resume operations at another three, despite a steady stream of anti-nuclear voices. 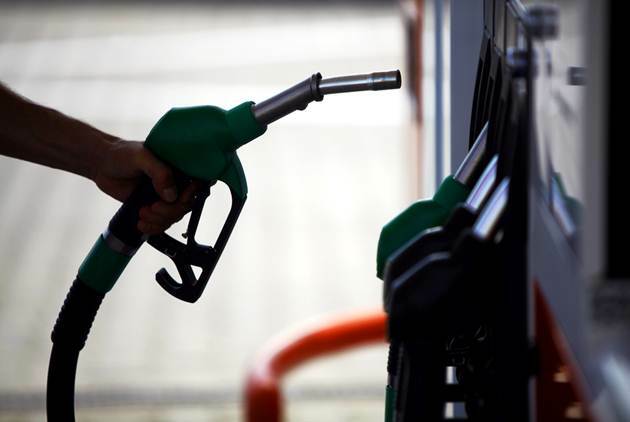 The policy has had a noticeable impact on imports of natural gas and gas. According to Reuters, Japan’s liquefied natural gas imports fell 10 percent in June from a year earlier and were down to their lowest level in two years, and coal imports were down 18 percent year-on-year, clear signs of Japan’s determination to gradually substitute nuclear power for thermal power. But Japan’s strategy also has other motivations and considerations specific to its situation. Robert Hu, the director of ITRI’s Green Energy and Environment Research Laboratories, says Japan is an exporter of nuclear power technology, and resuming nuclear power operations will provide a boost to those exports. 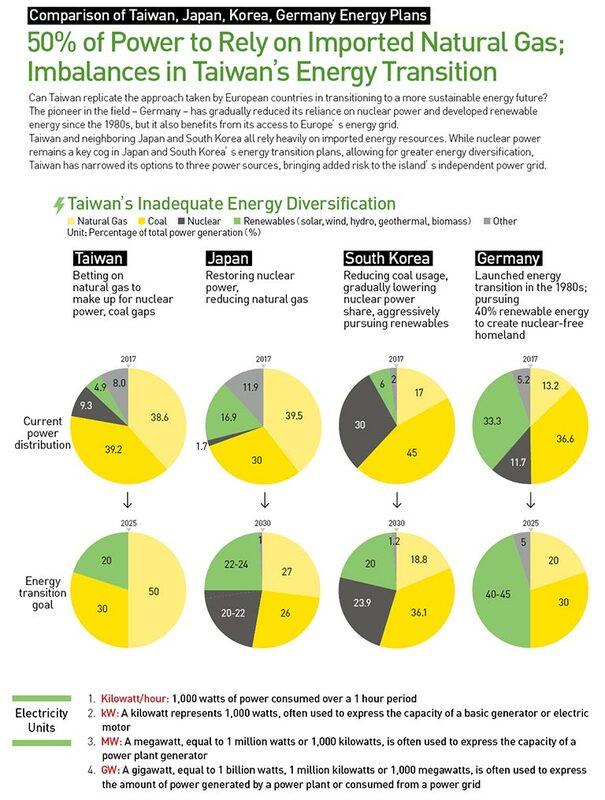 Taiwan, in contrast, does not have its own nuclear power industry, relying instead on outside contractors for its nuclear technology. But its development of an offshore wind power supply chain could result in export opportunities in the future, Hu contends. 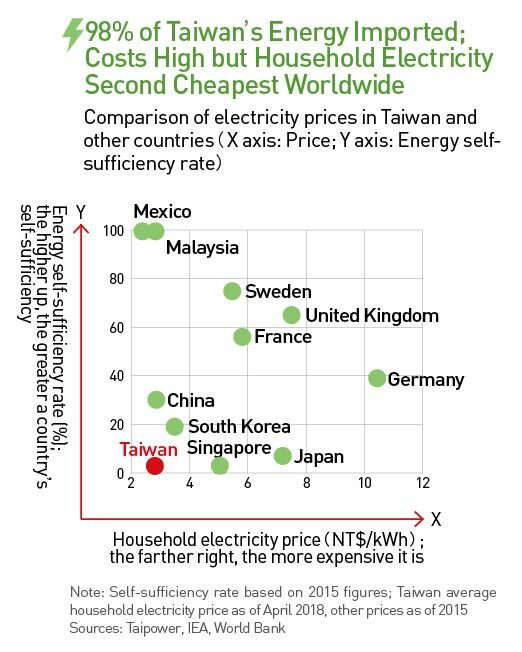 Yet Taiwan’s expectations for renewables may be overly optimistic. Hu admits the challenges to be daunting, but says that public policy is now bound by the “Greenhouse Gas Reduction and Management Act” that took effect in 2015 and the “Electricity Act,” which was last amended in 2017. Japan is not the only country pursuing energy diversification during the energy transition period. Germany is another example. Its renewable energy generation capacity in 2020 is expected to be four times what it was in 2005, a gradual 15-year process Taiwan hopes to complete in seven years. Germany has also benefited from the stabilizing effects of the European electricity grid and a land area nearly 10 times that of Taiwan, giving it far more space to install solar panels. At the same time, Germany has not put all of its eggs in one basket, investing heavily in biomass and geothermal power, for example, to complement its ample solar power and wind capacity. Other Asian countries lacking in energy resources and without a large-scale cross-border grid to fall back on are also clearly focused on a balanced energy mix. After new president Moon Jae-in took power in 2017, South Korea adjusted its strategy to aggressively develop nuclear power. It declared that it would cut its reliance on coal and nuclear power and build up its renewable energy capacity, setting a goal of generating 20 percent of its electricity with renewables by 2030. Similar to Japan, however, South Korea has clearly defined nuclear power and coal as essential sources during the energy transition phase and plans to maintain nuclear power and coal as 24 percent and 36 percent of its electricity mix, respectively. Reducing dependence on nuclear power generation may be a global trend, but most policy makers seem to understand that they cannot change their energy mixes in a single bound. Delta Electronics founder Bruce Cheng, long a champion of renewable energy and green building, said in a radio interview in May that stable, clean and safe energy was the lifeline of Taiwan’s sustainable development, but he expressed doubts that Taiwan’s electricity needs could be satisfied under the nuclear-free homeland policy. “Solar power and nuclear power can both solve Taiwan’s potential power shortfall, and for Taiwan solar power is the most economical and most necessary,” Cheng said. Though Delta Electronics is one of the global leaders in energy saving technologies and solutions, even its founder acknowledges that energy-saving strategies are inadequate if they cannot provide a stable supply of power. Delta Electronics supplies inverters and storage systems used with solar and wind power and has also worked with the government on its pilot large-scale storage program, but the costs remain extremely high. The ITRI’s Robert Hu indicated that many people inside the government have privately expressed concerns that the obstacles to Taiwan’s energy transition plan will be hard to overcome, but with the non-nuclear policy having been enacted into law, civil servants have no other choice but to act according to the law. If the government or other groups want to adjust the current direction of Taiwan’s energy policy, it will mean relaxing the non-nuclear incantation in the Electricity Act. “If business associations really want to see an energy policy revision, they should start with the Legislature,” Hu says bluntly, pointing to the “Greenhouse Gas Reduction and Management Act” enacted in 2015, which commits Taiwan to a 50 percent reduction in carbon emissions from 2005 levels by 2050, and the “Electricity Act” amendment requiring nuclear power to be phased out by 2025. The two laws have boxed Taiwan in, leaving it with only two viable energy options – renewables and natural gas. The time may have come for Taiwan to leave behind politics and the adversarial nature of public dialogue and start thinking more pragmatically about its energy policy. ♦ Air Pollution or Nuclear Power? ♦ An Interview with Minister of Economic Affairs: Phasing out Nuclear Power? ♦ Can Japan Go Nuclear-free?